Don't Get Scared Get Checked! There were 24 entries in each discipline, and they were split into 4 sections of 6. Each player/team had 5 games in the round-robin stage of the competition, with the winner of each section progressing to the semi-finals. In the singles, Jason won 4 games and lost one and unfortunately he missed out on qualification for the semi-final on shot difference. The pairs did their best but they also failed to qualify. The triples won 4 games and lost one (by 1 shot) and qualified for the semi-final. They started off well and gained 5 shots in the 3rd end. They were 7 - 4 up playing the last end and lost a 3, meaning the match went to an extra end. Unfortunately they were not lying the shot so Martyn tried to burn the end. He nearly succeeded with his last bowl, but disappointingly the jack just stayed on the green by a few inches and their opponents from Saltcoats were lying the shot so they won the game and progressed to the final. 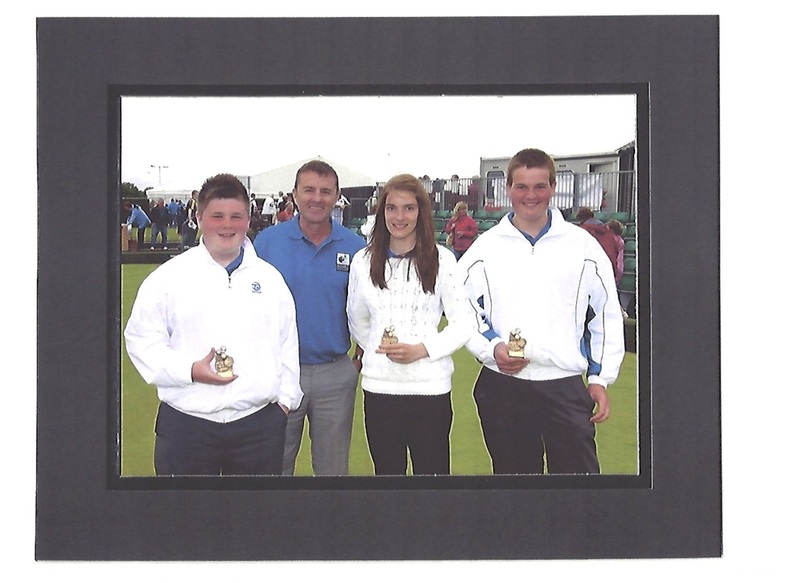 The triples team were presented with their semi-finalist trophies from David Gourlay, Head Coach for Bowls Scotland. All the players enjoyed their day at Ayr and it was a great experience for the youngsters. The spectators viewed some great bowling. Thanks goes to Jim Whyte who once again undertook marking duties throughout the whole day. Some players from our district have been nominated for a SYBA National Team trial which is being held at Glencarse BC (near Perth) on Saturday 4th August 2012. The players, who should arrive by 12.30pm are Jason Banks Martyn Thomson, Jak Miller, Jamie Hoper and Carla Banks. 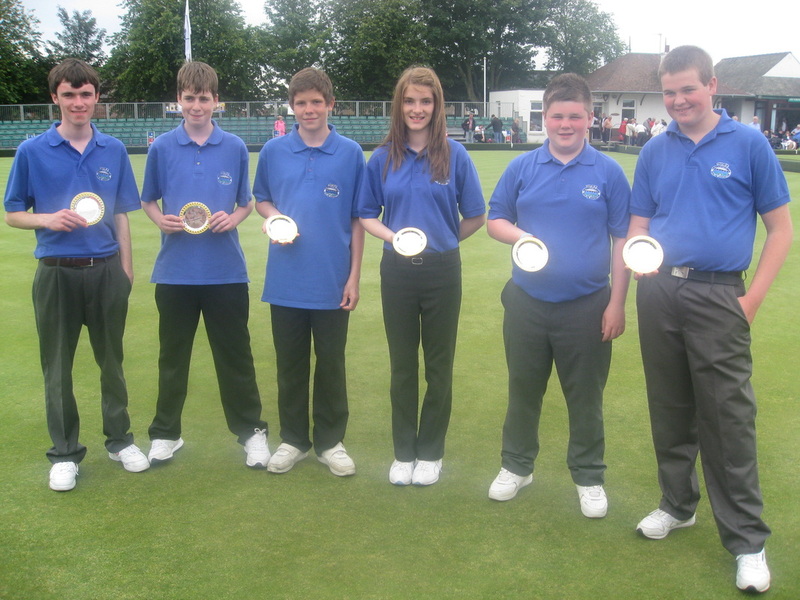 The SYBA National team will play against England (Northern Counties) on Sunday 16th September 2012 at Bainfield BC, Edinburgh.